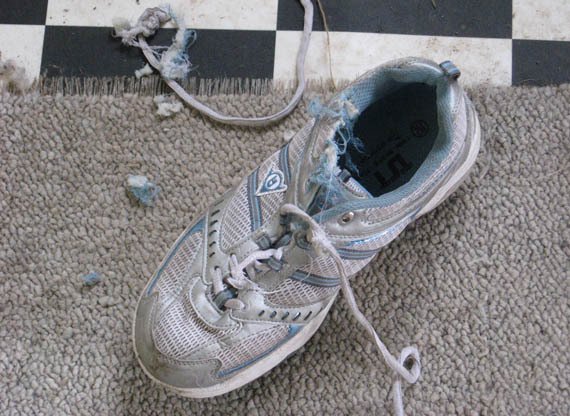 Yell at Barney for eating my almost-brand-new sneakers. There’s nothing like a dog to remind you that you should have put things away. Back when I had Billybear and Scooter (toy poodles) Billy had a habit of peeing on my boyfriends clothes. You can bet the boyfriend learned to pick things up off the floor! Another time he taught the boyfriend’s daughter to pick up her dirty underwear by eating out the crutch. Gotta love a toy poodle who helps train messy people! Anyway, today was a wonderful day! The weather was perfect and at work we took a group of clients to the old town of Richmond for the day. How lucky to have a job which allows me to spend the day working and having fun out in a beautiful place in lovely weather!